6 industrial chairs with army green metal frame and oak backrest and seating, dated and signed Tubax 1957. 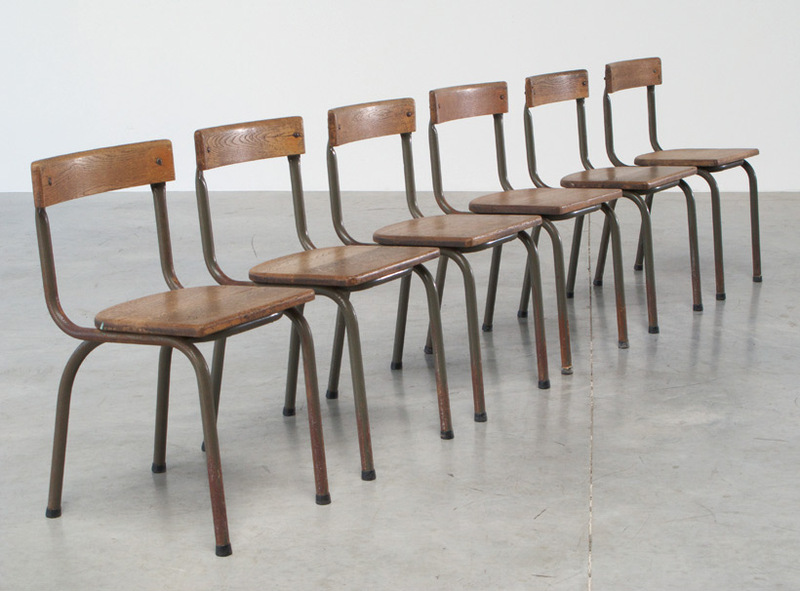 6 chaises industrielles avec armature en kaki et dossier et sièges en chêne. Signe Tubax 1957.